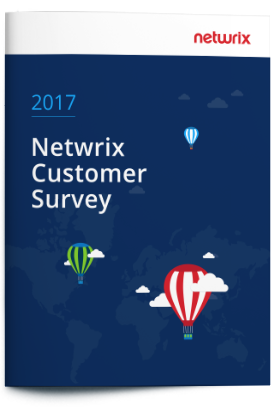 Our annual customer survey provides insight into how organizations improve their security and compliance processes, as well as the efficiency of their everyday IT operations, with Netwrix Auditor. It also offers valuable first-hand feedback about real-life use cases and the benefits companies get with the software. of customers perform routine tasks faster. of surveyed organizations maintain security policies more efficiently. 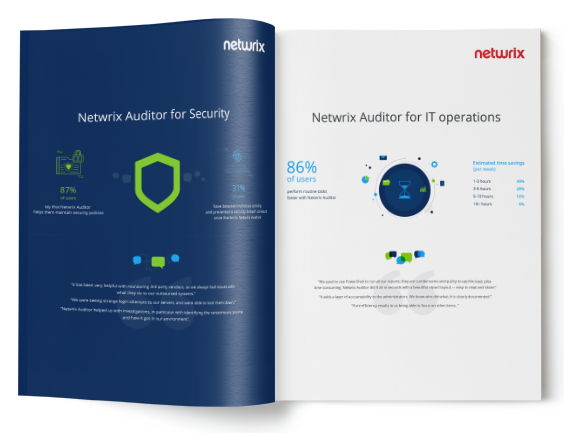 of respondents have simplified and accelerated preparation for IT compliance audits.